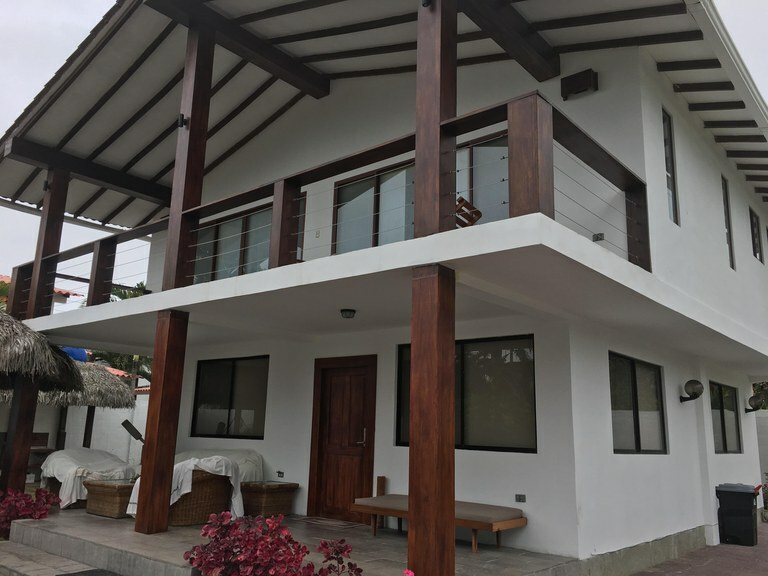 Escape you will, here at this fantastic beach home located all of a short block to one of the nicest beaches in all of southern Ecuador: Olón. Tucked away quietly in a quaint area of town, this two story home sits on a 400 square meter lot and is ready for its new owner. At the entrance of the house is a patio for outdoor seating and as you enter, you come into the open concept living and dining rooms. Off to the back in one area is the nice sized kitchen with breakfast bar. There is a visitor’s bath. Also downstairs is a bedroom. Going upstairs you come into two very large bedrooms each with en-suite full baths, closets and balcony access. There is a small laundry facility. The house has been recently remodeled to US standards. The outdoor area is great for entertaining with large palapa, bbq area, outdoor shower, large driveway and nicely manicured lawn and landscaping. A 1-bedroom ocean-view rental in Salinas?? Oh, shell yeah! You’ve been asking for it, so here it is. A cozy one bedroom rental for your vacation stay in Salinas. 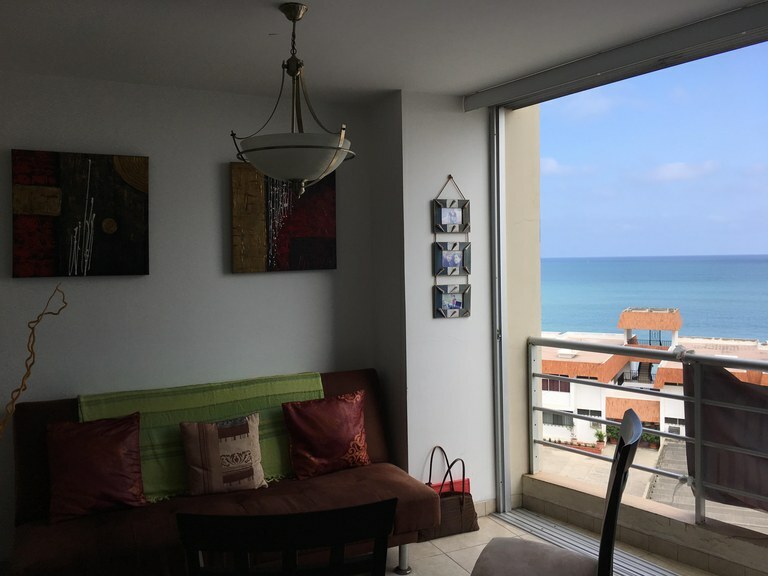 With just about 600 square feet the unit has an open living/dining area with full length sliding glass doors that open up and give a nice view of the ocean while dining from the table which seats 6. In the living room there is a ceiling fan, and a sofa bed as well as a small tv with basic cable channels. The kitchen is small with a fridge, 2 burner cooktop stove, coffee pot, and blender. There is a full bathroom in the hallway for guests. The master bedroom has an air conditioner, ceiling fan, large closet and a full en-suite bath. The building has 24/7 security guards, an elevator, a large pool, and a nice rooftop terrace for sunbathing or dipping in the Jacuzzi. Walk across the street to the beach, or around the block for multiple restaurant options. 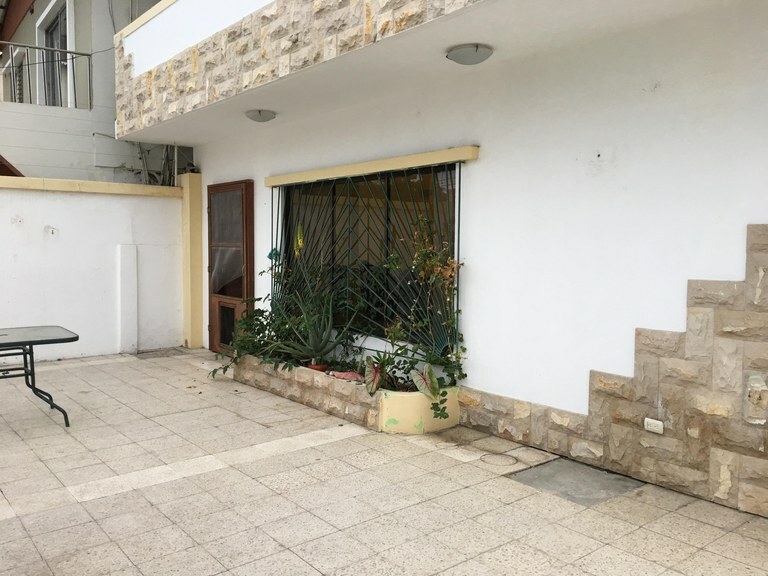 ~ High season and holiday rate $1000/month /// Low season rate $800/month /// Annual contract rate $700/month /// Rates do not include electricity nor internet. Oceanfront in Ballenita: Oh Captain, My Captain!! 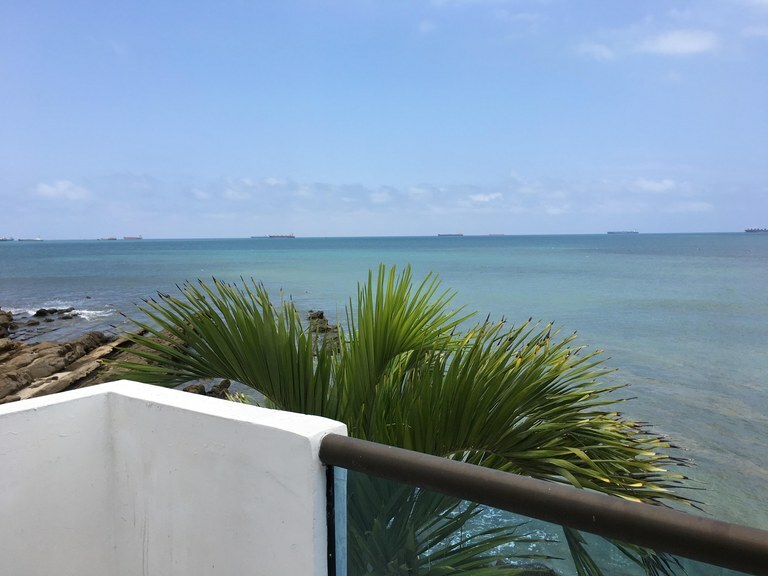 ***S O L D - MARCH 2019***This has to be one of the most unique ocean-front opportunities on the market. Nestled on its own private cove-type beach, this 2 story home is a great retirement home or vacation destination. Here you are surrounded by constant sea breezes and the sounds of waves crashing on the rocky ledge below. Downstairs is a wide open “patio de hamacas” which is awesome for entertaining and outdoor eating and lounging. There is a bathroom and laundry hookup downstairs, so it could also be closed in to create a formal downstairs unit or additional living space. As you go upstairs the nautical theme prevails and the white tiles and walls are flanked by pops of color from the very tastefully designed décor. Open concept living/dining room are large and comfortable, and open up to the open kitchen with breakfast bar. The kitchen has balcony access with direct unobstructed ocean views. There are two bedrooms, each with own full baths. The master also has balcony access. A must see!!! Looking for a small fixer-upper project? Like to dabble in remodeling properties? Well then take a look at this one!! With about 1000 square feet of living space, this 2 bedroom 2.5 bath is a nice size for that vacation rental. Located in the heart of Salinas, with easy access to all – shops, restaurants, bars, banks, public transportation. 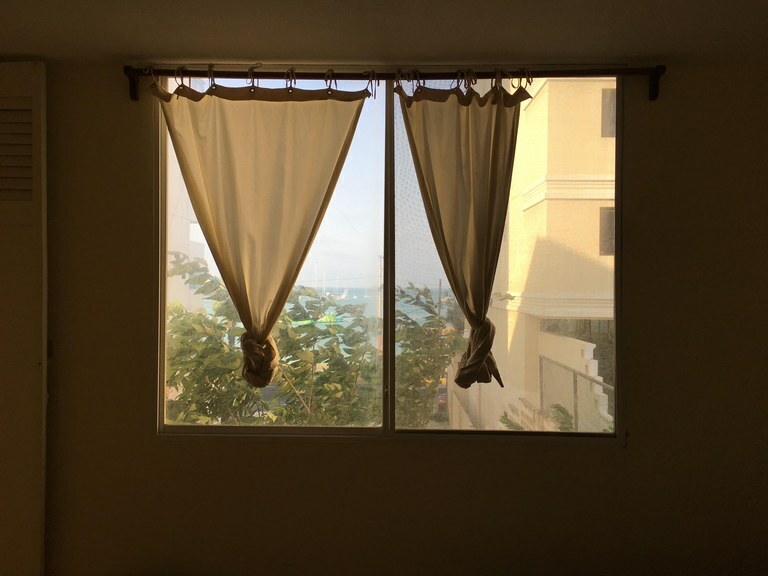 The beach is ½ a block away and can be seen outside your master bedroom window!! Being sold un-furnished. 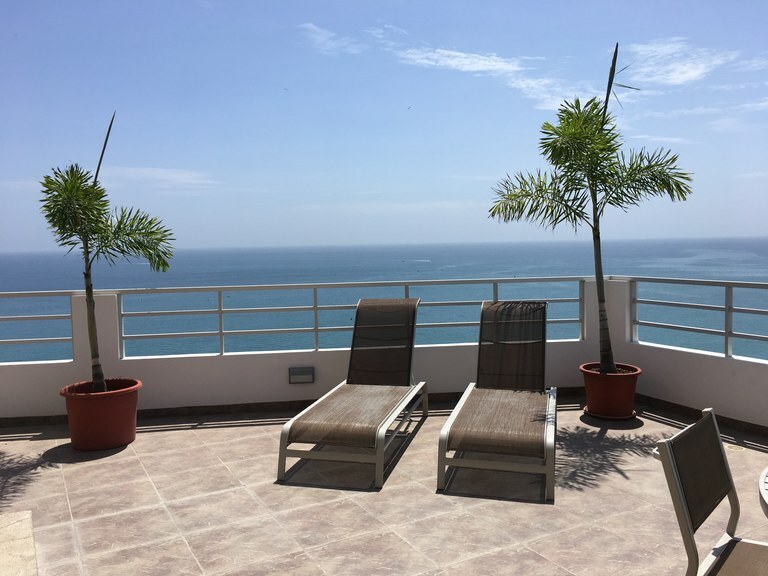 This 3 bedroom, 2 full bath condo has recently been remodeled to accommodate the vacation traveler. Open concept kitchen/dining and living spaces are quite comfortable and can seat comfortably 4. New appliances include 4 burner stove with oven, fridge, and stackable washer/dryer. There is an a/c in the living room as well as flat screen tv. Both the living room and the master bedroom open out to the nice sized balcony where you can sit and watch the beach activities and boating while enjoying your hammock time and either cocktail or coffee. The master bedroom has an air-conditioner and own en-suite full bath. There is a small bedroom past the kitchen with its own half bath. Continuing down the hall there is a visitor’s half bath. At the end of the hall there is a third bedroom which has 2 sets of bunk beds, a nice sized closet, an air-conditioner as well as own en-suite full bathroom. Quite a comfortable condo for your Salinas visit!!! Comes with a parking spot. Rates are as follows: Holidays (feriados) $1200 includes water and electric. Month in High Season $1200 plus water and electric. Month in Low Season $1000 plus water and electric. Direct TV is available on a pay-as-you-go basis. Nestled away in the back of a 3 story building on the ground floor you will find a most pleasant surprise. This unique unit has an added bonus – a 70 square meter private outdoor patio for your exclusive use! Downstairs is the social area: open kitchen with breakfast bar, separate dining area, living room, ½ bath, and a large storage area. Upstairs are three large bedrooms each with own private full bath. The Master has a huge walk-in closet and in the master bath there is a jacuzzy tub! The building has a roof-top terrace with outdoor bbq area, bathrooms and laundry facility. The unit has one assigned parking spot. Condo approximately 1500 square feet, the patio approx 80 square feet. New Year's Holiday $1500. High season monthly rate $1500 + utilities. Low season monthly rate $1200 + utilities. Year long contract rate $900 + utilities. Pets considered with prior authorization and additional security deposit. Enjoy this cozy 2 bedroom condo on the boardwalk of Salinas in the San Lorenzo section. 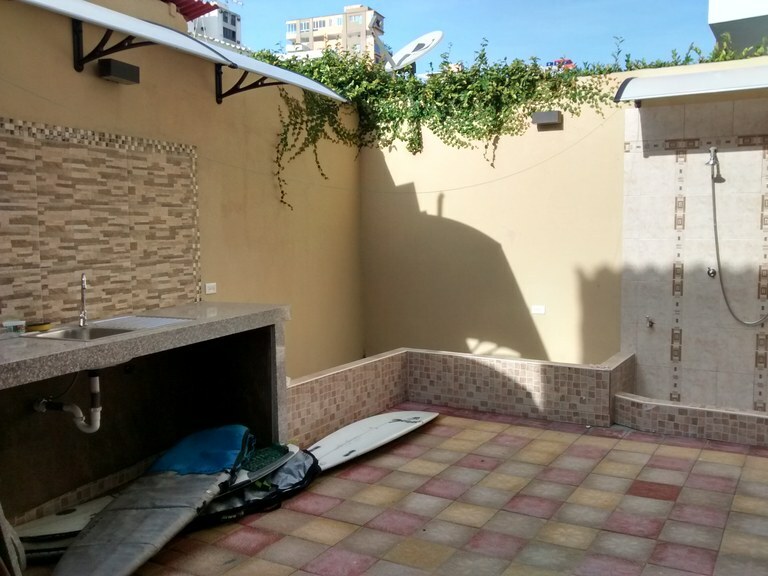 A new (2016) building with fantastic amenities including rooftop terrace with jacuzzi. 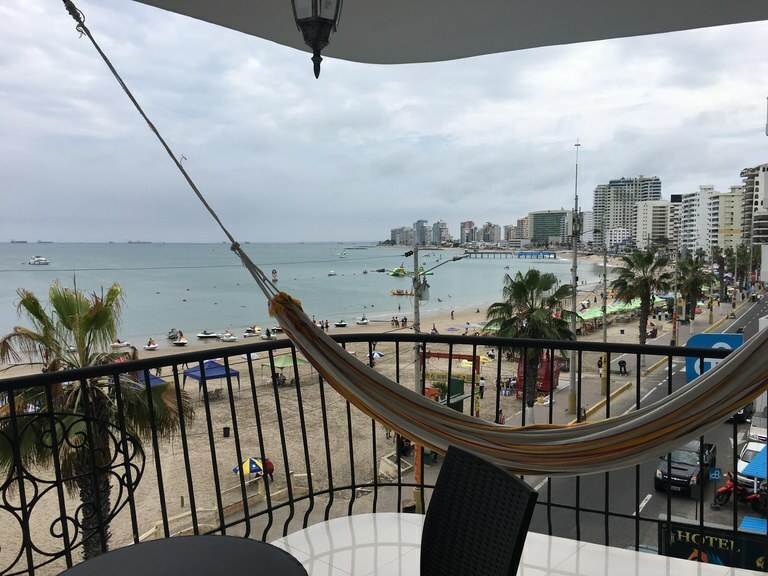 Walk across the street to the beach or down the malecon into town. Many eateries have opened up in this area and all are walkable. Transportation is plentiful. Great vacation destination!!! 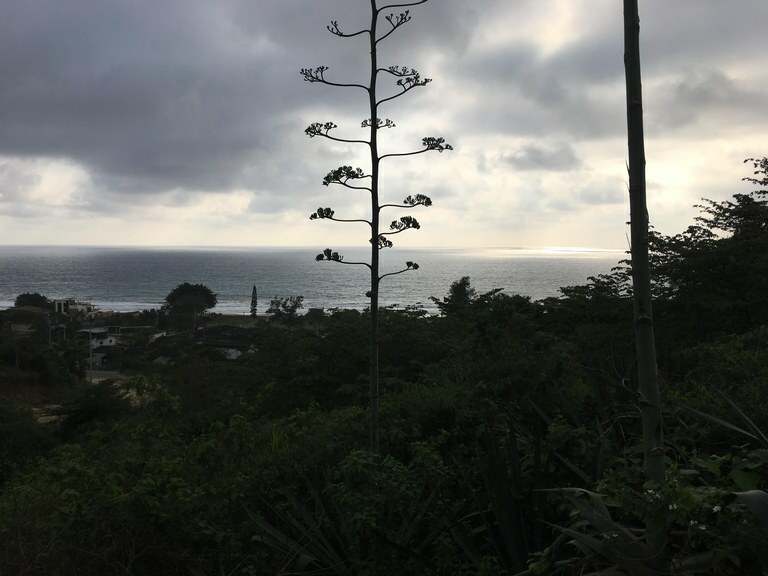 This is one of the only hillside lots left in this area that offers direct road access with ocean views. Great for a large home-site or a development parcel to put up a couple of small rental units. Water, electric, septic, internet, tv are all accessible. This small house is just the right size for a single traveler or retired couple. Simple, basic, yet cozy and conveniently located. The house is one story and consists of a large living/dining area, separate kitchen, two bedrooms each with own full bathrooms. There is a nice outdoor patio. It is located three blocks from the beach and within walking distance to restaurants and shops with easy access to public transportation. Pets accepted with previous authorization and additional deposit. Price does not include utilities. Undeniably a most stunning property this hidden gem is a must see. Impeccable attention to detail and consistent maintenance are the keys to making this property a true treasure. 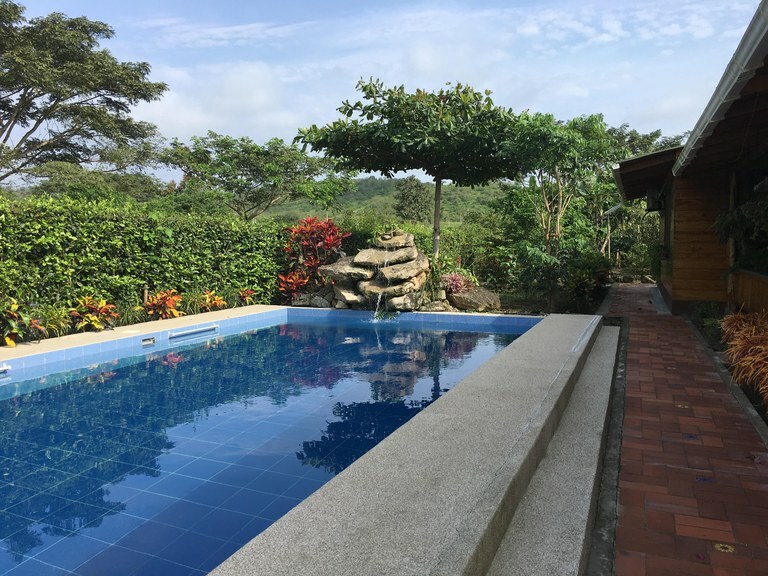 With 2000 square meters of beautifully manicured and maintained land, this property boasts a large primary residence, a mother-in-law suite, an outdoor barbecue area, a large in-ground pool, and a large producing fruit and vegetable garden. The main home is about 3000 square feet, all on one level, built back in 2016. The exterior seating area consists of a fabulous wrap-around porch with plenty of space for hammocks. Gorgeous woodworking prevails throughout the entire interior and exterior of the home, with its high ceilings being showcased by intermittent skylights. The open concept kitchen has strategically located windows and a large center island for extra work space. A large pantry/laundry room is nestled off to the side for easy access. The living-dining area is open and can be accessed by two different exterior entrances. The 3 large bedrooms each have their own closet space, ceiling fans, air conditioners and full en-suite baths with hot water. Being sold un-furnished. Amy Prisco is a licensed Realtor at the Island Estates International office located on the Malecón in Salinas, Ecuador. ©Copyright 2017-2018. All rights reserved.